Bitcoin model Version 2, now on the prowl! Model notes: The previous model allowed a greater drawdown than I was comfortable with. V2.0 is the most sophisticated model we have had at CTM. I am very proud and excited to follow the progress. This is the inaugural signal (it is bullish just like V-1 one was). Bitcoin is one of the strangest markets and probably the least understood. Can nonlinear analysis shed light on this exotic trading vehicle. I am looking for a great (accurate) second half of the year! Exciting stuff! Bullish trend ($NYXBT): The new model would have caught this market much closer to the early-month lows (except it wasn’t completed until recently). We see a support level at 6600. Nonlinear analysis says the trend is up! 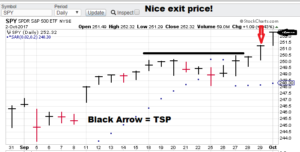 Look for the TSP for this signal to be tomorrows close! Observation: We now have the new fee structure in place (check the “Fees” tab for details). Get your independent research here, put my 25+ years of model building experience to work for you! Take a minute to peruse the US Equities tab. 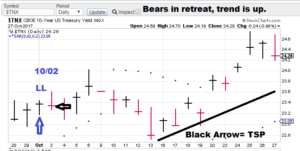 I posted the S&P 500 trading signals postmortem for the recent March-April time period (approx. as it took about a week to generate a signal at the beginning). Plus 134 Points. Great stuff! Take a minute to check out the Forex tab on our website. I am posting the recent US Dollar May-June signals. No whipsaws and playing the surprise Brexit vote just right. Great stuff! Take a minute to take a minute to click on our bond trading tab. Our signals took the profits in the early month while holding the long interest rates position later. 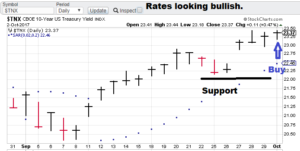 It never sold rates, hinting at higher rates to come. The TBT went higher outside our test window. A nice tip-off for the future! Check out the energy tab. We tracked crude during the run up to the US presidential election. There was plenty negativity with a surprise ending. See how nonlinear analysis walked us through it! Bitcoin model now on the prowl! Model notes: The Bitcoin model is now in place and we will be featuring it until the end of June. Bitcoin is one of the strangest markets and probably the least understood. Can nonlinear analysis shed light on this exotic trading vehicle. Exciting stuff. 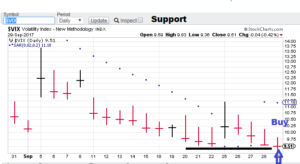 Bullish trend ($NYXBT): This market has taken some hits in the past as commercialization has bought seller into the ring. This means the market can go up or down. Nonlinear analysis is calling the trend up. The inference is that the 7000 level is a viable support area and not likely to be violated. This is our first signal for this market. 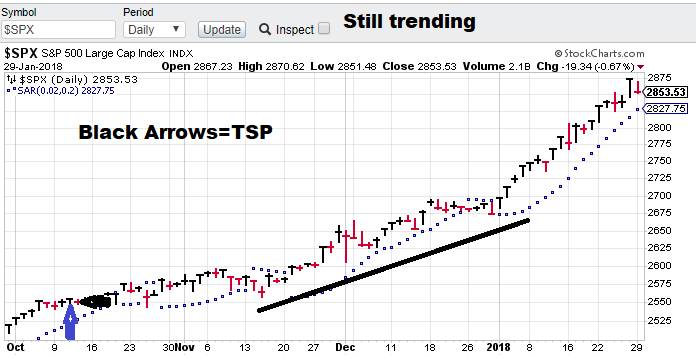 Model notes: The models continue to avoid “being faked out” (selling too early in a sustained uptrend) a common problem in overly optimized systems. Still waiting to get the final answer on the upcoming Bitcoin model. Exciting stuff. Let’s look at the charts. 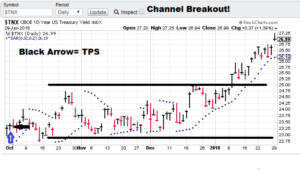 Bullish Yields ($TNX): This market has broken north of a trading channel. The rate malaise in 2017 was a constant source of speculation as the stock market rocketed off. I guess the bond guys ran out of buyers. 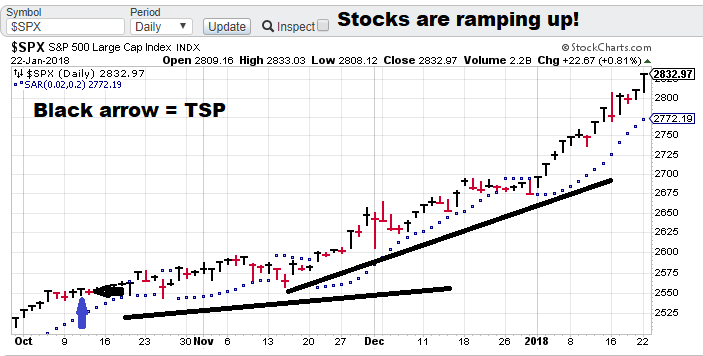 Bullish Trend Stocks ($SPX): Stocks hit some selling today. 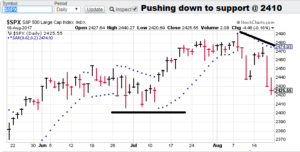 There may be some follow-through selling but the force of the recent bullish acceleration does not appear to be in danger yet. Model notes: The models continue the to track these markets pretty well. 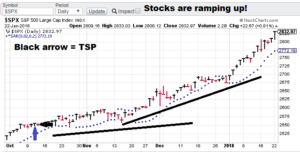 One of the weaknesses in models can be the tendency to pick “tops” during powerful uptrends, that really are not tops. It is called being faked out. So far, the models are staying with the market movement. Bitcoin is going to be joining us soon. Very exciting stuff. Let’s look at the charts. 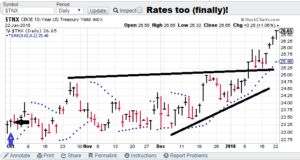 Bullish Yields ($TNX): Rates are starting to ramp up. The US Government shut down, though duration expectations are modest, are probably helping with this. If the shut down duration becomes more of a concern a convexity may occur. Anyway, we are tracking the trend pretty well. Bullish Trend Stocks ($SPX): The Jan 16 one day technical reversal had no follow-through and the nonlinear models were not fooled either. So here we go! 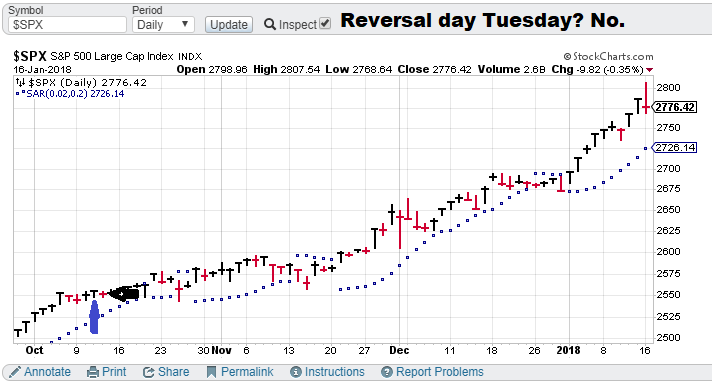 Was yesterday a S&P reversal day? Model notes: The models continue the to track the trends pretty well. 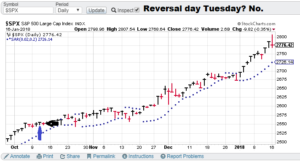 I am placing this post in the morning before the 9:30am (EST) market open. Prices are through the end of day of Jan 16. Due to a change in my work schedule, I will have to place more early morning posts versus my usual late-night posts. By the way, we are working on Bitcoin signals too! Let’s look at the charts. 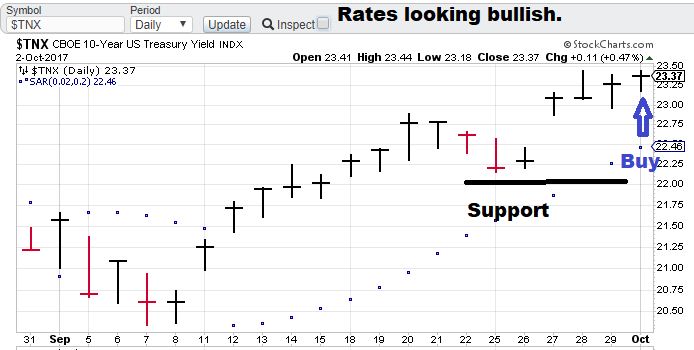 Bullish Yields ($TNX): Rates are starting to ramp up. The intellectual argument of an improving economy have been in place for a year now, finally the bond market seems to be smelling it. NL models have the trend as up! 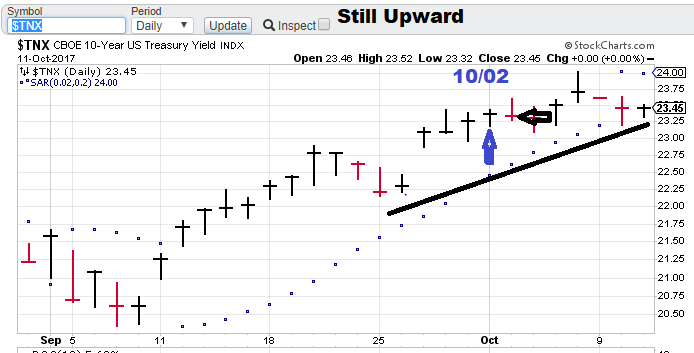 Bullish Trend Stocks (SPY): Tuesday’s move higher then closing lower was technically a downside reversal day. But is it significant. Is it a reversal of the trend? 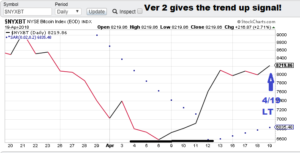 Not according to the nonlinear models, bluechip trend is still up! Models are in well placed positions! 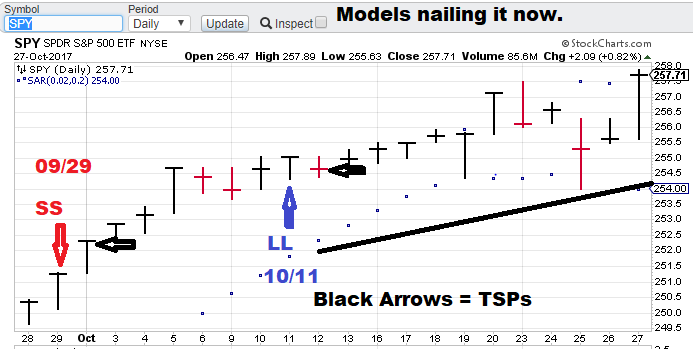 Model notes: The models are in well placed positions, with all trades currently “in the money” so to speak. Another thing that is going well is that the models seem to be in the right “time zone,” meaning they seem to be operating at a trading frequency suitable for the 2-week type of window I am aiming for. 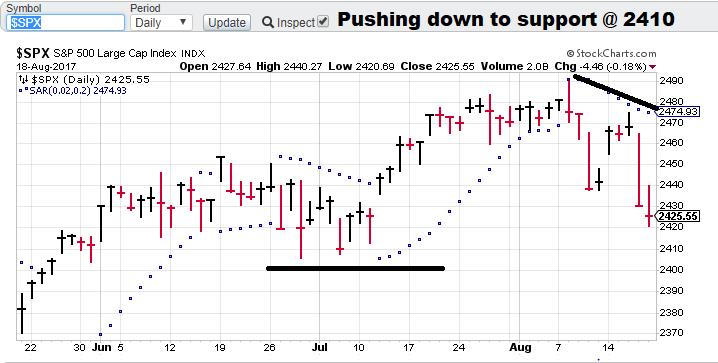 Also the equity signal moved to the correct side quickly (“don’t let losses run”). This is a good report. 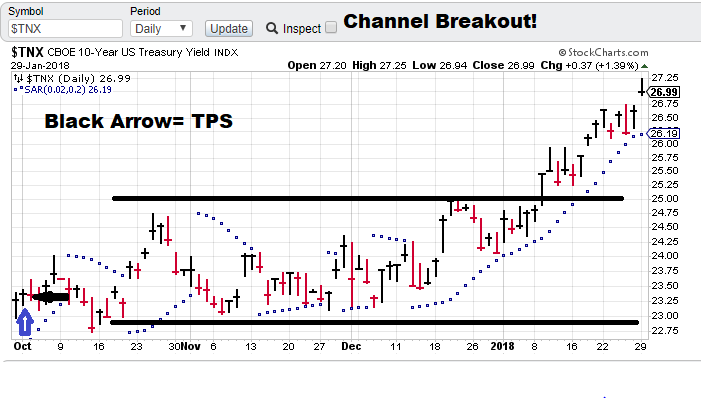 Bullish Yields ($TNX): Rates have been hesitant on the economy, but with the recent 3rd quarter 3.1 number, they are now starting to climb with some conviction. What could the number have been without the hurricanes? Models have the trend up. Bullish Trend Stocks (SPY): Stocks are benefitting from the economic numbers as well. The Catalonia independence movement is likely to affect US bluechips only indirectly. 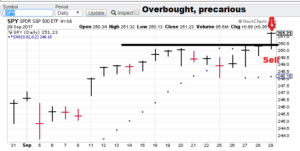 The technical breakout looks good and the models are still on the buy side. Sell Trend Equity volatility ($VIX): Volatility Should be going down now that bluechips are trending higher, But the mercurial VIX is so low already it’s acting like something pushing on a firm spring, thus struggling to go down. 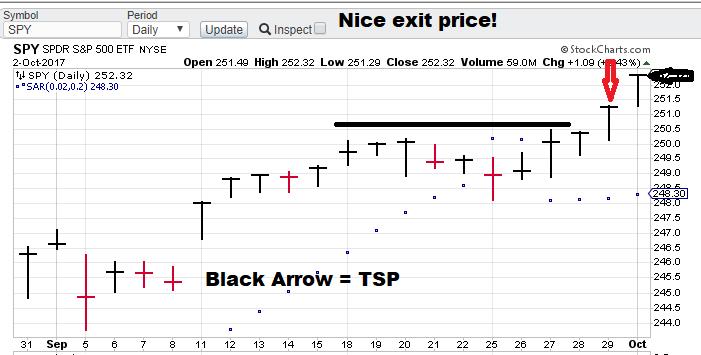 For opportunist traders the best bet may be to “keep your powder dry” and wait to buy after the next bull ish signal. The models see lower values ahead for now. Model notes: Models now confirming uptrend for blue ships. Note: The following comments are based on using technical analysis to ‘flesh out’ our nonlinear trading signals. 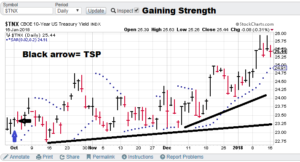 TSP is defined as the closing price following the signal day. 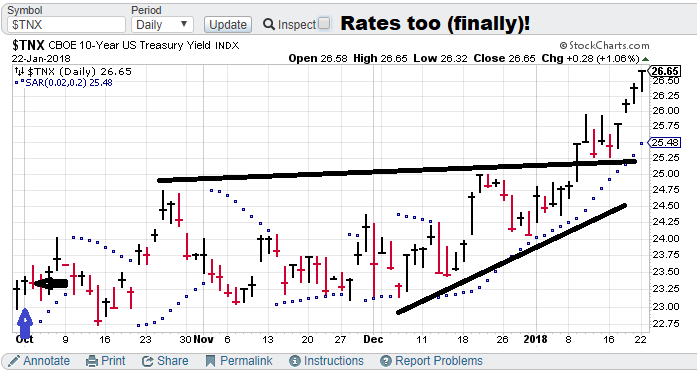 Bullish Yields ($TNX): Rates are still drifting upward. Models and short-term trendlines confirm this. One uncertainty now appearing in the press is speculation on Yellan’s replacement. Don’t-Rock-the-Yellan’s days as the leader of the Fed look to be coming to an end. Bullish Trend Stocks (SPY): The previous sell signal was not very helpful and bluechips took a leg higher. 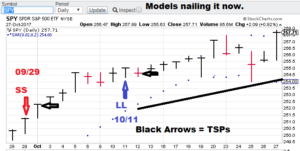 The models respect the market’s strength and have now reversed. Upside is now the path of least resistance. 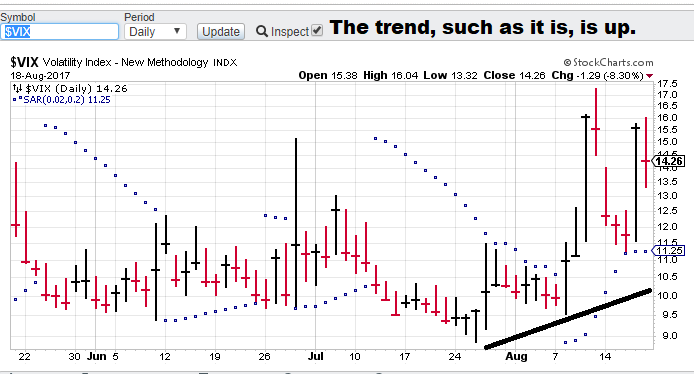 Bearish Trend Equity volatility ($VIX): Volatility has very limited upside with stock moving higher. We look for lower values here. Observation: We are changing our premium services for 2017. Stay tuned for the details of the new service to be offered. Get your independent research here, put my 25+ years of model building experience to work for you! Model notes: Ok, now we have the models starting to make predictions, so here we go! 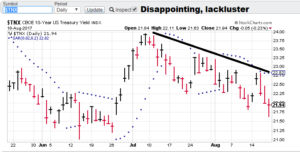 Neutral Yields ($TNX): Rates look to have bottomed in early Sep and are now trending up. Nonlinear analysis gave the bullish nod as of today. Rates have been compressed down for a while, the spring board is set. 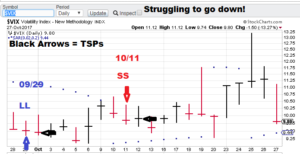 Short Trend Stocks (SPY): Friday’s close gave us the sell, at Monday’s closing price (TSP). 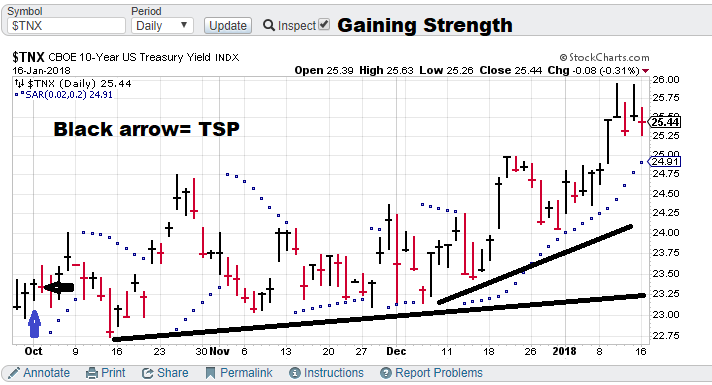 In this case the models are fading an uptrend. 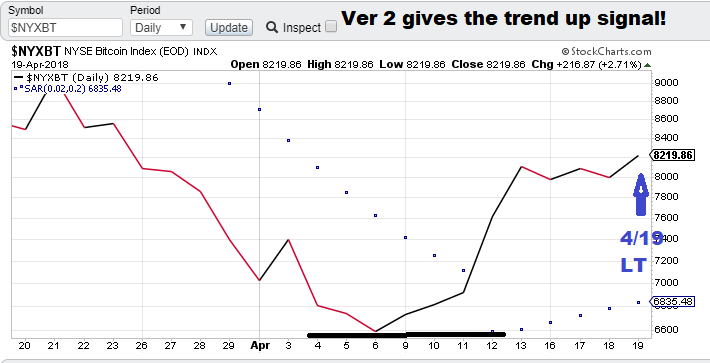 The model read is that bluechips are over extended and a pause is now due. Vulnerable to selling! 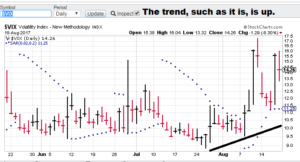 Buy Trend Equity volatility ($VIX): Volatility, is inverse to bluechips. 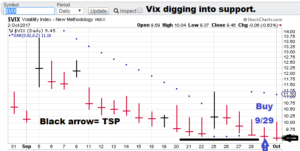 Interestingly, the vix held up we despite the market rise today. Model sell signal date 9/29. 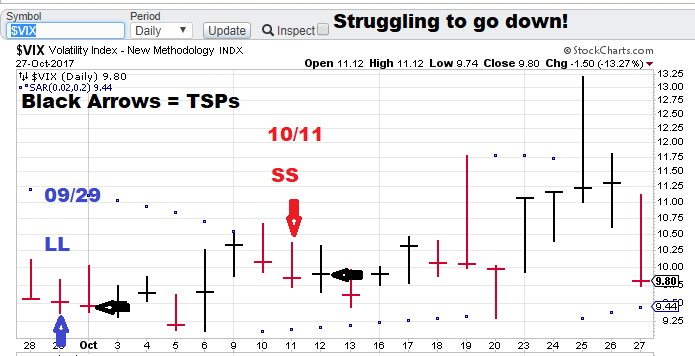 TSP = close on the next trading day (Monday, 10/02). Model notes: Nonlinear models are fading the punch to new September highs in largecap equities. 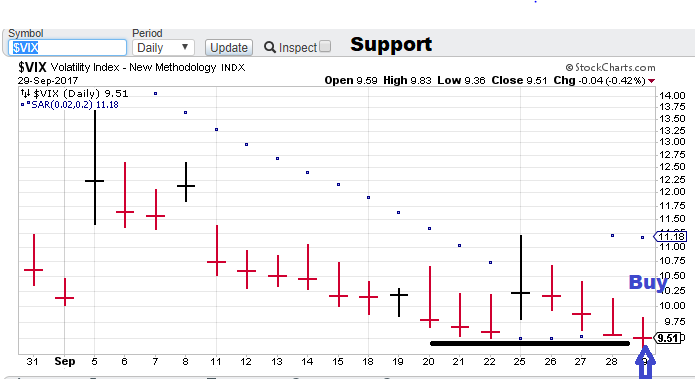 VIX tends to move opposite, so that signal is buying. Neutral Yields ($TNX): Waiting for guidance from the models. Short Trend Stocks (SPY): This category has enjoyed a bump from the euphoria from the Trump election but sometimes even a bull has to give a little back. Nonlinear analysis has the bluechips (i.e. 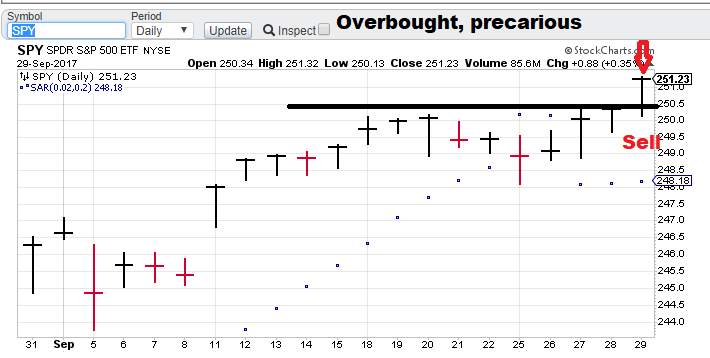 SPY) as overbought and vulnerable at these heights. Buy Trend Equity volatility ($VIX): Volatility, the mercurial (and relatively inverse) cousin of bluechips is now in a positive mode. I am returning with my nonlinear signals, following a consulting theme (i.e. dropping the micro hedge fund) pretty much as the heritage of the website. Posting signals for select markets, based on nonlinear models. 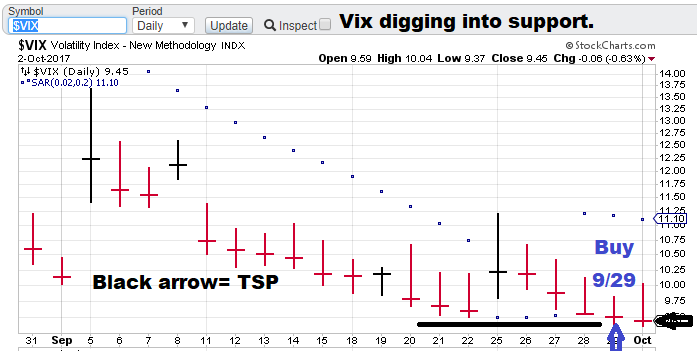 This cycle (through Dec 31), I will be tracking the S&P 500, interest rates ($TNX) and the volatility index ($VIX). These three should be of more than casual interest for a wide range of market followers. Model notes: I post signals when they occur, but since I am re-starting (since my schedule now permits it) between signals, I am giving the general nonlinear ‘in progress signals’. 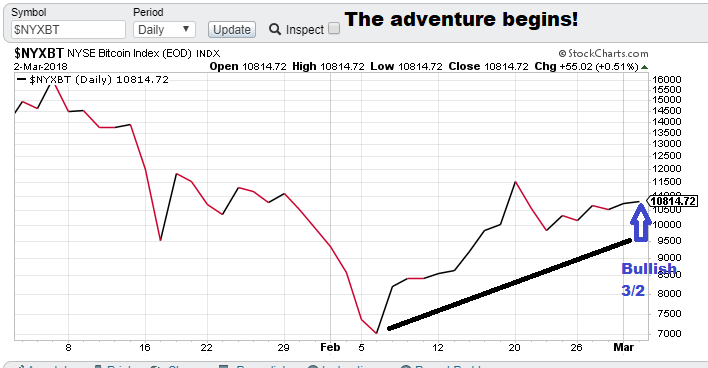 I am awaiting either change-of-trend or reconfirming signals. Note: The following comments are based on using technical analysis to ‘flesh out’ our nonlinear trading signals. 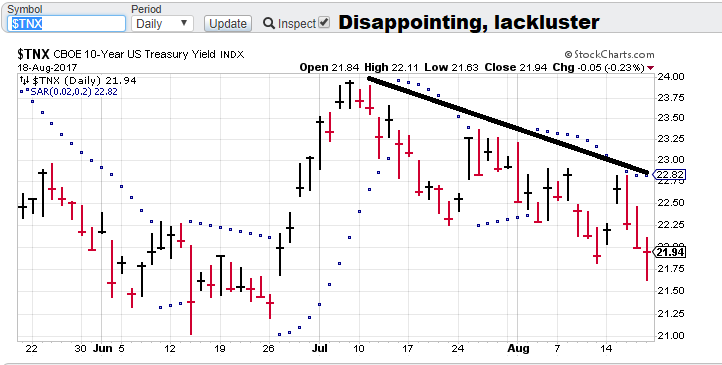 Short Yields ($TNX): This market has been such a disappointment for yield bulls. The heady talk of increased economic activity (Trump election) leading to increased inflation and the Fed aggressively pushing the “hike” button just seems to have sagged for now. The general press seems apoplectic concerning Trump (moving from Russian conspiracies to the protests/brawling surrounding the removal of various Confederate statues). The stymied advance in rates have unsettling ramifications about the future of the US economy. Short Stocks ($SPX): This category has clearly benefitted from the Trump euphoria, however even big advances must hit an occasional pause. We seem to be in one now. 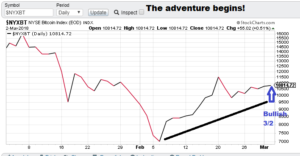 Nonlinear analysis is currently pointing down but near-term support is nearby (2410), so we have to see how this goes. Equity volatility ($VIX): Volatility, the mercurial (and relatively inverse) cousin of bluechips is the 3rd . Anticipating this market is key to making this work as a trading vehicle. Nonlinear analysis should be a powerful tool for this type of trading problem.